Exhibition Dates and Opening Hours. Congress Participants are invited to visit the exhibition, that will be located in the the Congress Venue – in the hall of Institute of Informatics, University of Wrocław. The exhibition will be open during the within following hours. The Congress Organizers reserve the right to modify these times if needed. ABL&E-JASCO Polska was established in 1999 for distribution and servicing of high quality laboratory equipment in Poland. One of our main goals, in cooperation with our sister companies (ABL&E Group), has been from the beginning the creation of solid foundation also to provide technical advice and assistance to our users. We ensure warranty and post-warranty servicing. Our company is ISO 9001:2009 certified. We represent the following international brands: Thermo Fisher Scientific, Dharmacon, GeneAll, Cleaver Scientific, Nippon Genetics, Titertek-Berthold, Prona, GeneON, Eurogentec, MoBiTec, MP Biomedicals, Toku-E, Chromatrap, Enbio, Bluestar Forensic, Scie-Plas, Seralab. ALAB Sp. z .o.o. is a company specialized in providing complete solutions to the laboratory market. Our focus on high quality, advanced products and services for Life Science resulted in cooperation with many well-known manufacturers like: THERMO SCIENTIFIC, SONY BIOTECHNOLOGY, BAKER RUSKINN and NANOENTEK. This allows us to offer equipment, consumables and reagents combined as a total workflow solutions. -	complete systems for sample handling (tubes, plates, pipettes) and storage, especially in low temperatures (ULT freezers, LN2 containers, software). Bioanalytic has been established by Maciej Stopa on 5th of August 1998 to represent Perkin Elmer Polska Ltd., in northern area of Poland. Our office is located in Gdansk and today we are 13 people company including sales department, customer service and application support. Our mission is providing the knowledge and high-quality materials and laboratory solutions. We listen to our customers needs and expectations to improve our offer and service level. Biomedica offers products from premium suppliers for both innovative and conventional technologies for gene expression, genotyping, cytogenetics applications. Celllab is a distributor of Lonza Bioscience products in Poland. Lonza is one of the world’s leading and most-trusted suppliers to the pharmaceutical, biotech and specialty ingredients markets. Clonetics™ and Poietics™ cell culture media for primary and stem cells, classical culture media and other cell culture products, Nucleofector™ transfection system, CytoSmart™ live cell imaging system, products for molecular biology (agaroses, precast gels, numerous reagents) and endotoxin detection tests (LAL tests and rFc technology-based tests) are among our well known high quality products. 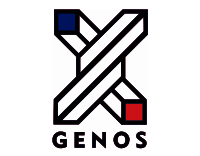 Welcome to cooperate with us to advance your research with our biologically relevant solutions. EQUIMED is a supplier for laboratory equipment and accessories. EURx is a privately held biotechnology company located in Gdańsk, Poland. EURx delivers high quality reagents and services to the molecular biology research community, offers a full line of DNA ladders, modifying enzymes, restriction endonucleases, nucleic acid labeling products and other ancillary molecular reagents. With over 200 products spanning our product line, EURx is dedicated to meeting the needs of the research community. EURx has considerable expertise in the areas of fermentation, cloning and protein engineering, purification, nucleic acid amplification, and microplate detection technologies. We apply aggressive research and development in these technologies to sustain our innovative stance in the molecular biology arena. PZ HTL S.A. – worldwide leading supplier of liquid handling solutions (single- and multichannel micropipettes, pipetting controllers, dispensers) and consumables (plastic serological pipettes, pipette tips) located in Warsaw, Poland. A wide range of Liquid Handling products available in the HTL portfolio addresses the changing expectations of Our Customers who highly value safety, working comfort and reliability offered by HTL products. Thanks to over 35 years of experience, cutting edge technologies used in the manufacturing process and to the whole team’s commitment, we manufacture products of the highest quality. Our company puts a major emphasis on issues related to environmental protection. We take actions for protecting natural resources by reducing paper, electricity and chemicals consumption. In 2013, PZ HTL SA obtained the Certificate of the Environmental Management System ISO 14001:2004 that confirms our strong commitment to the environmental protection issues. Our customers are Universities, institutes of Polish Academy of Science, Medical Academies. At present we represent in Poland companies: Leica Microsystems, Leica Biosystems, Andor, Agena Bioscience, Picoquant, Apelex , Intavis Bioanalytical Instruments, Kurabo, Techne, Uvitec Cambridge. K.Kucharczyk Techniki Elektroforetyczne Sp. z o.o offers tools and technology for heterogenic material genotyping (oncology, virology), label free protein-protein complexes analysis, kits for PCR, DNA/Protein electrophoresis, western blotting, DNA/RNA hybridization and general laboratory equipment. Our proprietary MSSCP genotyping method detect down to 0,1% level of minor genetic variants at heterogeneous clinical material and could be used for discovery and detection of the minor genetic markers. Dedicated for MSSCP method DNAPointer® System could separated eg. RNA native spatial conformers differ by 0,5 kcal/mol. Also it is used for protein-protein and protein-nucleic acids complexes analysis by 2D EMSA or 2D BN methods. Labnatek company started in 2006. Since then the company expanded its' product range to surface science, particle analysis, nano- and biotechnology and is currently providing state-of-the-art research equipment for the Polish market. - The 3D Cell Explorer (Nanolive) is a high speed, high resolution and non-invasive tool that can look deep inside biological systems. This allows to record stunning 3D images of entire cells in just seconds and with a higher resolution than any conventional microscope on the market. - Izon Science's Tunable Resistive Pulse Sensing is the only technology that provides particle-by-particle measurement of size, concentration and surface charge of biological and synthetic nanoparticles. LGC Standards is Europe’s only authorized distributor of authentic ATCC materials and services, and the aim of the partnership is to facilitate more efficient access to the important biological resources provided by ATCC. ATCC cultures provided from LGC Standards come directly from ATCC and are never regrown or repackaged. LGC Standards is also a high quality manufacturer and distributor of certified and analytical reference materials, pharmaceutical impurities, drug standards, biological standards and proficiency testing schemes for the pharmaceutical, forensics, clinical, life sciences, environmental, food and industrial market sectors. Many of our facilities are ISO 9001 certified, and our operations are widely accredited to ISO Guide 34, ISO/IEC 17043 and ISO 17025. Since 1990 Medson company offers a full service laboratories in the supply and service of spectrophotometric and controls the flow of gases and liquids equipment. We are the supplier Jasco spectrophotometer and Brooks Instrument controllers and flow meters. As part of the supply of equipment we carry out installation and user training. Warranty service is run by qualified staff. In addition to sales and service, we offer services including consultancy applications, picking equipment, modernization and research, case law, and services related to the modernization, computerization and implementation of new solutions for school laboratories, academic, medical and company. We guarantee reliable performance of services and complete customer satisfaction. Meranco Aparatura Kontrolno-Pomiarowa i Laboratoryjna Sp. z o.o. MERANCO - supplier of laboratory, control and measurement equipment. We are an authorized dealer or distributor, for example: Eppendorf AG, Analytik Jena AG, UVP Ltd. and Omnilab GmbH. We provide laboratory equipment and reagents necessary for biological and chemical research. Feel free to use search on our website www.meranco.com.pl covering several thousands of laboratory products. In late 2015, Merck Millipore joined forces with Sigma-Aldrich. Our combined organization is the life science business of Merck – and a global leader in the life science industry. Our shared purpose is to solve the toughest problems in life science by collaborating with the global scientific community. Together, we offer a broad portfolio of more than 300,000 products, including many of the most highly respected brands in the industry. Our offerings span every step of the biotech/biopharma production chain, creating a complete end-to-end workflow with enhanced customer service, a simplified interface and a leading e-commerce and distribution platform. At NanoTemper Technologies, we are passionate about achieving excellence in everything we do. This has made us the partner of choice for thousands of researchers worldwide. The foundation of NanoTemper Technologies is microscale thermophoresis (MST), a powerful technique to quantify biomolecular interactions of any kind. It is based on temperature-induced diffusion of molecules, which strongly depends on a variety of molecular properties such as size, charge, hydration shell or conformation. The second technology; nanoDSF, is an advanced differential scanning fluorimetry technology which provides ultra-high data density and measurement sensitivity. nanoDSF detects smallest changes in the fluorescence of tryptophan and/or tyrosine moieties in protein's structure. The foundation of Novilet is an experienced team developing a modern approach to functional imaging using the Electron Paramagnetic Resonance. The company’s flagship products are scanners featuring an innovative measurement and reconstructive technology that delivers results in a short time. The EPR technology enables direct determination of partial pressure of oxygen pO2 and pH in living tissues. It is a powerful diagnostic tool that can be used to study tumour lesions, detect hypoxia areas, examine metabolism, and analyse oxidative stress. The interdisciplinary engineering team of Novilet also works with other external entities in developing designs of laboratory devices, from conceptual ideas to production commencement. Pointe Scientific Poland is a representative of an American manufacturer Pointe Scientific, Inc., one of the largest manufacturers of reagent kits for use within broadly understood clinical chemistry. Simultaneously development of international cooperation with other manufacturers has allowed for quick making available on the Polish market other advanced technologies used in research and in vitro diagnostics, especially in the field of immunoassay methods, immunochromatography and PCR. All proposed products correspond to the international standards and have a European certificate. Pointe Scientific aim is to provide advanced kits of reagent and equipment with excellent balance of good value for money. Polish Biochemical Society, co-organizer of the BO2016 Congress is non profit organization gathering scientists working in the wide area of biochemistry and molecular biology. Society organizes scientific meetings and publishes two journals: Acta Biochimica Polonica, professional quarterly presenting experimental papers in biochemistry, molecular biology, cell biology and related fields as well as "Postępy Biochemii" (Advances in Biochemistry), publishing review articles. STEMCELL Technologies is a leader in the development of specialty cell culture media, cell isolation products and ancillary reagents for human pluripotent stem cell research. Driven by science and enabled by close interactions with global leaders in cell biology and medicine, STEMCELL Technologies delivers over 1500 products to more than 70 countries worldwide. With more than 2 million products, VWR provides our customers the broadest range of choice in quality products. From furniture to beakers, microscopes to ULT freezers, biochemicals, reagents and sera to custom chemical blends, and everything in between, we provide what our customers need to enable science. Advising in cell and animal research, isolated organ perfusion, animal handling and breeding, molecular and cell biology, biotech. Confocal and in-vivo imaging (luminescence, fluorescence, Cerenkov, opto-acoustic, PET, SPECT, µCT, MRI) from WITKO. 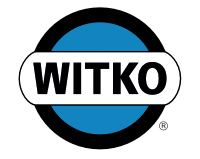 WITKO started in 1989 as exclusive J.T.Baker partner (high purity reagents), becoming ISO certified shareholder of the Lab Logistics Group. For you we expanded into a strong complex laboratory supplier of lab design, furniture systems, lab devices, instruments and usables, reagents and warranty and post warranty service, delivering modern solutions to all laboratories, biological ones among them. WITKO has received many awards since our professionalism has been recognized by scientist associations, government authorities, suppliers and Customers.